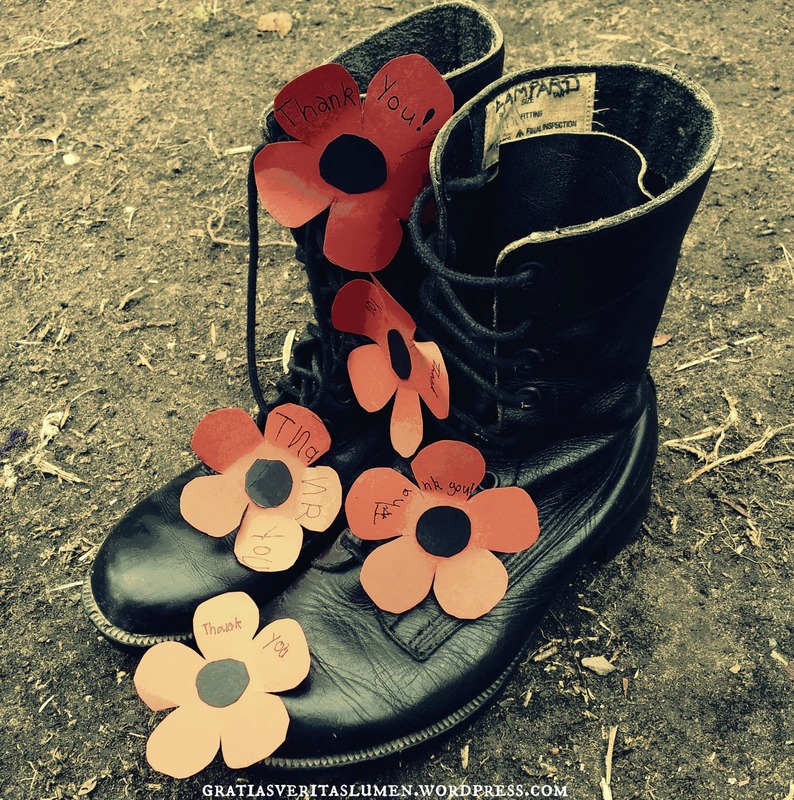 Marking remembrance day for homeschool with some PDF cut outs, construction paper and a pair of my dad’s old ’80’s standard issue Australian army boots. One of the few things I am gifted with by my father is a sincere reverence for the costs paid by those people and their families who gave their all. We don’t glorify war. Instead, in this moment and it’s minute of silence we are reminded of the fact that what ultimately separates us and them is time. It is in this and it’s reverberating echo that we remember the great need to work towards negating the ideological arrogance which makes just-war inevitable.